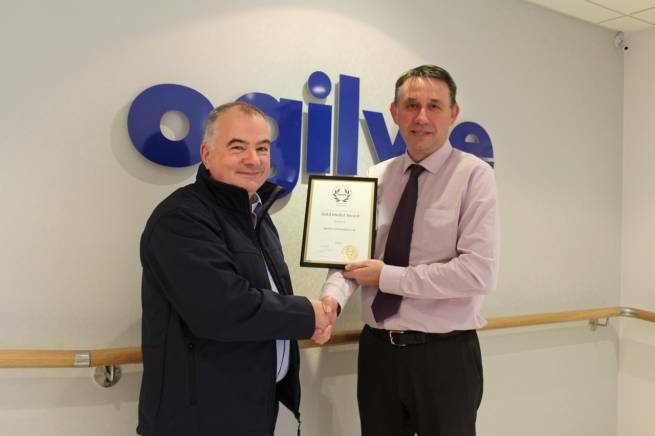 Ogilvie Construction has achieved the Gold Medal following their fifth successive Gold Award from the Royal Society for the Prevention of Accidents (RoSPA) in this year’s internationally renowned RoSPA Occupational Health & Safety Awards. The RoSPA Health and Safety Awards, which is the longest- running industry awards scheme in the UK, receives entries from organisations around the world, recognises achievement in health and safety management systems, including practices such as leadership and workforce involvement. Ogilvie Construction is part of the Ogilvie Group, one of Scotland's most consistently successful family owned businesses. The company is over 60 years old and employs over 500 people across its various business operations. Visit our Testmonial page Read what our customers say about us! © 2019 Ogilvie Construction. Part of the Ogilvie group of companies.